This 2012 St. Louis Cardinals un-ripped full ticket has been sign and inscribed "Al Hrabosky, The Mad Hungarian" in black marker. 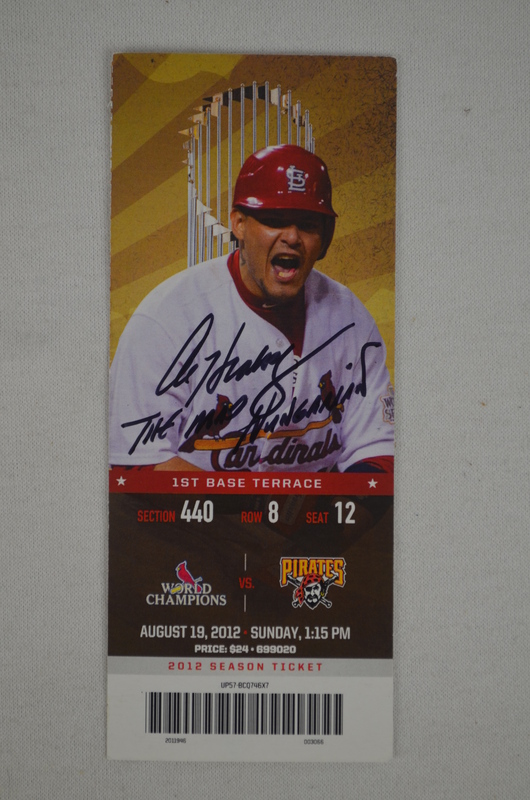 Hrabosky played from 1970–1982 for the St. Louis Cardinals, Kansas City Royals and Atlanta Braves and is currently the color commentator on Cardinals regular season broadcasts on FSN Midwest. 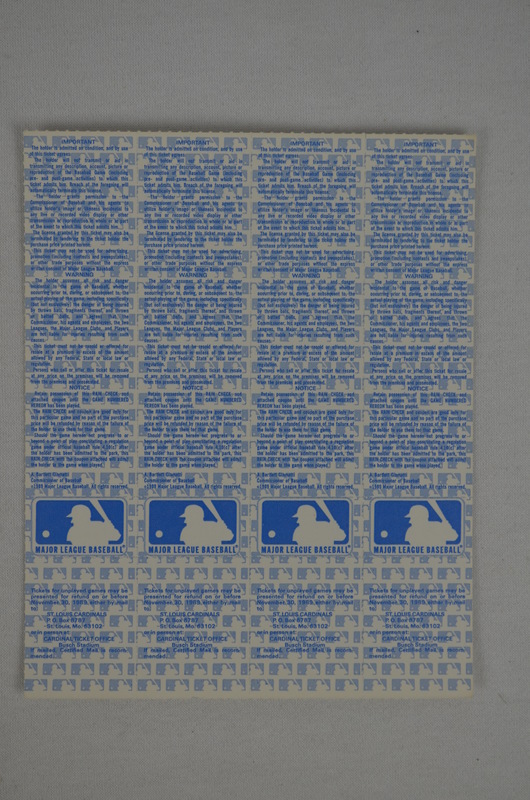 Hrabosky's nickname is The Mad Hungarian because of his unusual last name and colorful character and demeanor on the pitchers mound. 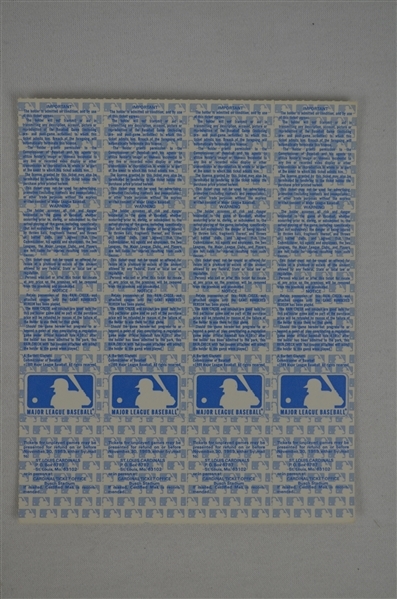 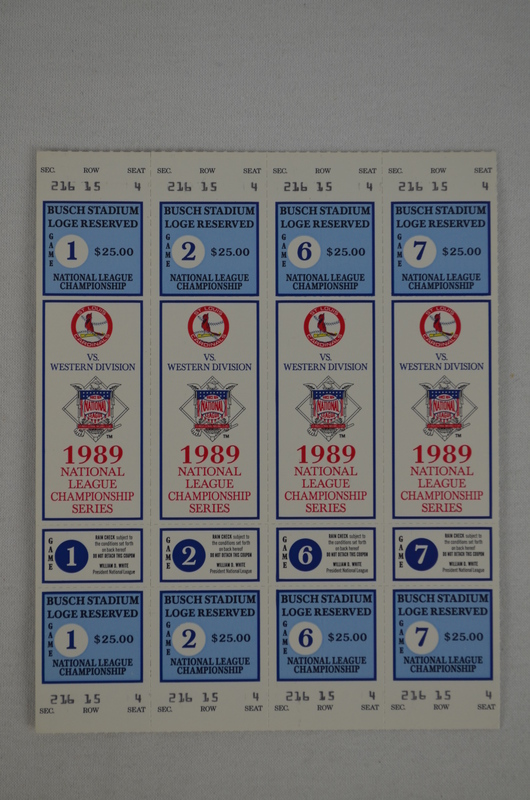 Also included in this lot is a uncut sheet of 4 St. Louis 1989 Phantom NLCS Tickets. 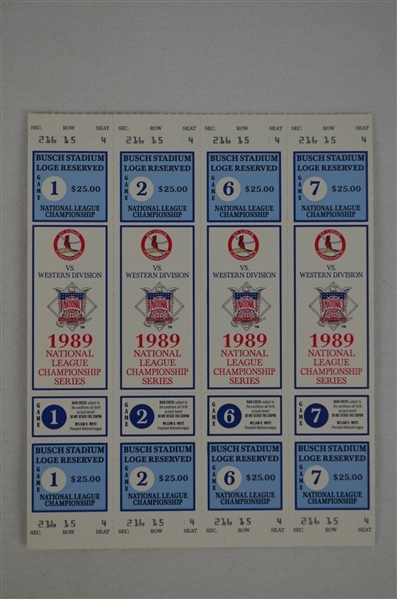 Sheet of 4 phantom tickets to games 1, 2, 6 and 7 of the 1989 National League Championship Series though the St. Louis Cardinals never actually made it to that point.